Happy Monday everyone!! I hope you had a great weekend... I'm over on the MarkerPop blog today with a Magical card and a new video! I'm using the Unicorns Dreams set from C.C. 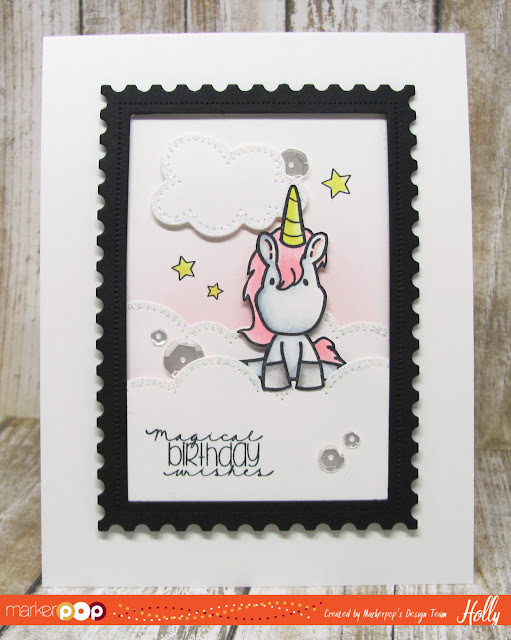 Designs and the new Postage Stamp Die from Avery Elle. Head over for all the details or watch the video below!